WRRM-FM (WARM 98.5) Cincinnati will launch a new morning program, "The WARM Morning Show with Jim and Amanda," debuting from 5:30-10am starting Monday, August 20. 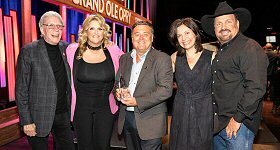 The show features co-hosts WRRM personality and morning show producer Jim Day and Amanda Orlando, who joins WARM 98.5 from sister station WNNF-FM (NASH FM 94.1), where she served as midday host and Assistant Program Director. Day has hosted morning shows at WHKO-FM/Dayton OH, KWEN-FM/Tulsa and WSM-FM/Nashville prior to joining WRRM last July. Before taking the midday slot at WNNF, Orlando was a morning show host at WUBE-FM/Cincinnati and at WFMS-FM/Indianapolis. 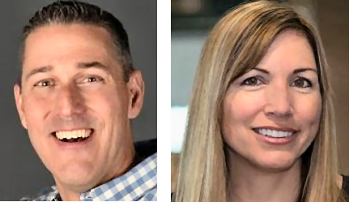 Cumulus Media/Cincinnati Regional VP/Market Manager Dave Crowl said, "We are thrilled to debut WARM 98.5's new morning show with Jim Day and Amanda Orlando, two dynamic personalities WARM listeners are going to love waking up to. We want to thank Bob Goen and Marianne Curan for their contributions to mornings on WARM, and wish them all the best." WRRM Program Director Brian Demay added, "Sometimes you just know! Jim and Amanda have obvious chemistry, they have both been a part of very successful morning shows - it's time to put them together on Warm 98.5. Being able to move Amanda over from a few doors down the hall is an amazing coup." Orlando said, "I'm very excited to officially join the WARM family. We have all been friends and co-workers for years - heck, I've even been in some of their weddings! It feels like a very natural move and I cannot wait to start each day at WARM 98.5! I'm looking forward to many more lunches with Jim Day and family where we talk radio and bore our children for 3 hours!" Day added, "Man, I count myself blessed. My family and I love living here and now I get to hang out with Amanda, too. She's funny, her stories make me laugh and she is so West Side. I can't wait to start the day and share that laughter with the Tri-State."